This is the second post in a series that started here with an overview of how to read through your Organic Traffic. Source: Every referral to a web site has an origin, or source. Possible sources include: “google” (the name of a search engine), “facebook.com” (the name of a referring site), “spring_newsletter” (the name of one of your newsletters), or “direct” (users that typed your URL directly into their browser, or who had bookmarked your site). Google also offers the ability to filter by Medium (organic vs paid), referral source, Google AdWords campaign ID and more. For this post, we are going to focus on the source, but all of these will play a part in the process. There are a few key concepts that will help us understand how this tracking works and how we can put it to use to evaluate our advertising efforts. This URL is passing 3 parameters to Google Analytics, each of which can be used to sort our visitors and activity reports. Each parameter must begin with utm_ and be one of the officially supported tags. You can generate these URLs easily using Google’s official tool for building these URLs here. Assuming we are running a Facebook campaign to promote our latest vehicle launch, we would use the example URL above as the target URL for any of the Facebook carousel ads that we run, which will differentiate those visitors from the rest of our site visitors. This can be done with almost all digital advertising services and is automatically configured when using Google AdWords for advertising. 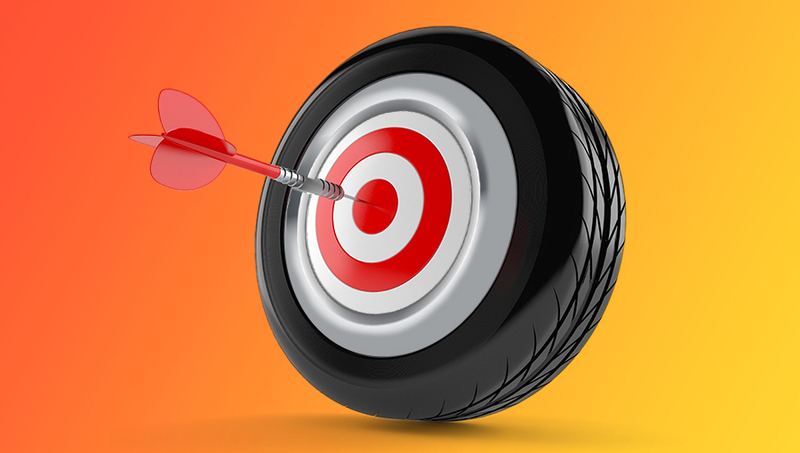 For print advertising, some dealers will purchase a new domain (ie: www.2019vehiclelaunch.test) and then redirect that to their website, adding the utm tags to the redirect. In this way, you can track some of the effectiveness of your print and other physical campaigns as well. Now that your advertising traffic has been tagged properly, we can look at the different ways you might want to use this in your reporting. Below are a few common reports that I run, but there are hundreds of reports that can be built using various parameters and filters in Analytics. The reports you want to build will vary based on the type of campaign, the landing page that you drove traffic to and the goal of the campaign. For the examples below, we are going to use traffic coming from a Bumper campaign. Inside Google Analytics, on the left side we can use the navigation to find the Acquisition section titled Source/Medium, which is where our utm_source tags will show up. You should see a list of all source/medium combinations, starting with the ones that produced the most traffic to your website. This screen by default combines the Source and Medium into one line item, but you can separate them to group them by only source or medium using the Primary Dimension selector above the table. For total traffic from a single source, change the Primary Dimension to just Source, then select the source from the list to view all traffic originating from that advertising source. In this example, we’re looking at a report of only traffic originating from Bumper campaigns. Without digging any deeper, we can already see that this source is bringing in new visitors, returning traffic and we can see that there’s pretty good engagement based on the average number of pages being viewed and the average time on site of over 7 minutes. Our next report is a bit more advanced, but can be quite beneficial to see a broad overview of the traffic we are getting from individual Advertisers. Sometimes the simplest overview is to look at the pages they land on, assuming you’re already driving advertising traffic to pages that are more intent targeted than your homepage. For this report, we’re going to use the Behavior tool, so expand that menu and choose Site Content and then Landing Pages from the list. This gives us a basic report of the top landing pages for the entire website, not filtered by any traffic sources. For most stores, this will be a list dominated by their homepage and inventory pages. First thing we want to do is the same as the lsat report – switch the Primary Dimension to Source. This time, when looking at this list, we can add a Secondary Dimension similar to how we changed the primary dimension. From the Secondary Dimension dropdown search for and select Landing Page. The table of data below should update to reflect all traffic, grouped by the source of that traffic, then divided into the individual landing pages and how many times each one was the landing page for a visitor. In the example below, we can see that Google (both paid and organically) is providing 59% of our website traffic, with only 8.5% of the traffic coming from visitors manually typing the URL in or clicking a link in an email. Additionally, we can see that our second highest landing page is the used inventory listing page. The rest of the table (typically dozens of records, if not more) will outline all the other sources and where their traffic is being driven. The more traffic sources you’re tracking, the more useful this data will be to confirm that you’re sending traffic to the ideal place on your website. Beyond these basic reports, you can get into much finer details for all your traffic stemming from specific advertising sources. This can be used to evaluate whether the traffic you’re buying (or otherwise attaining) is performing on site how you would expect them to. You can use the Source dimension on many reports, which will give you a strong insight into the specifics of each advertising source. If you find that you don’t have sources listed or you have a high number of unknown or direct sources, you may find that your advertisements are not being tracked properly. If this is the case, talk to your provider or, if you manage in-house, update your campaign URLs with the necessary UTM tags to provide this information to Google Analytics. Need help with understanding our advertising effectiveness? We offer strategies and consultation to help dealers, OEMs and groups improve their success in market. Contact us to learn more.